The Trace Bowl pendant is a beautiful piece of glass created from streams of glass piping. 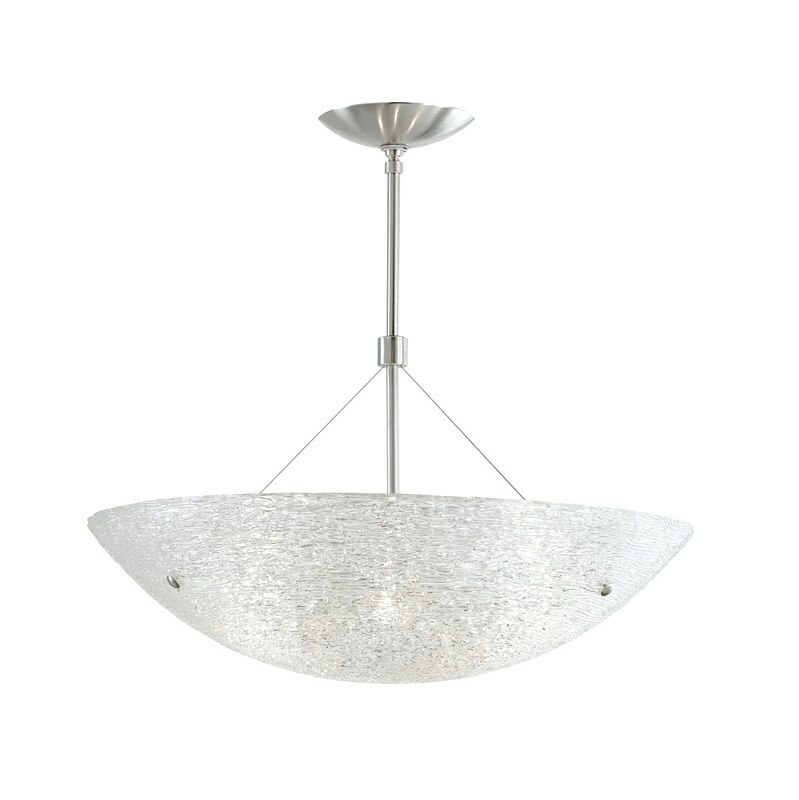 Highlighted with metal hardware, this contemporary bowl pendant is classic yet modern and perfect for a kitchen or other space! 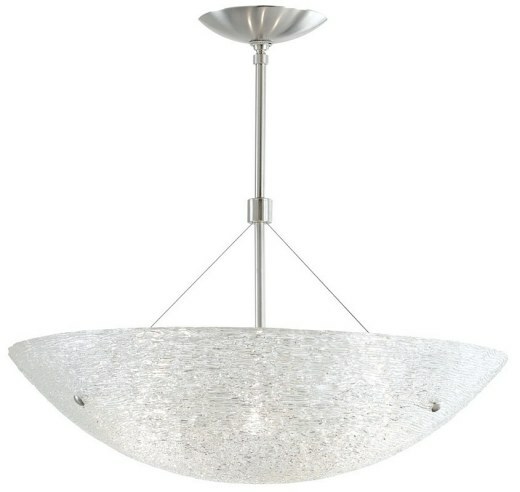 Available in three lengths (16", 24" 36") and two finishes (satin nickel or antique bronze). Rated for four 60W bulbs (not included). Incandescent version dimmable with standard incandescent dimmer. Sloped ceiling adapter compatible and sold separately. Due to the large single piece of glass in this light fixture, it must be packed extra carefully in a large box. The item ships as freight and requires a shipping fee added.